Rating: 8.6 Spacemice #2: You&apos;re Mine, Captain! 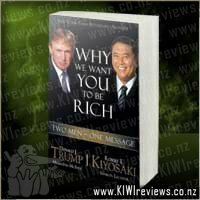 Rating: 9.1 Why We Want You To Be Rich: Two Men One Message Things That Go! We are big Geronimo Stilton fans in our house, but I try to approach every review I write with a blank slate and an open mind. I sneaked a peek through the book before I settled down to read it, and I have to say I was surprised that this book is full of bright colourful illustrations, noticeably more illustrations than other Stilton books, some double page images, something it could be said has been lacking previously. One of the things I love about this story is that there is some rich history of Russia peppered into the story, with a replication of a famous painting, (Stiltionised of course with a mouse face on the original) There is the same mix of words popping off the page with their colourful and diverse print. This story is geared to the female readers with some old love letters, which belong to the Grandmother of one of the Thea girls. The story also invites the reader to work out the clues and be an active participant within the story, "Don&apos;t you see we have finally solved the mystery of the ring" (To the reader - What did Violet realise about the ring?). Later on the clues are compiled and readers are invited to review the clues, the reader then clues are reviewed on every second page, drawing the reader into the mystery and helping them to refine their logic skills. - This is something that is not often seen in books that are targeted for &apos;female&apos; readers, and is so refreshing to see. Not to give away the plot, but the story finishes with two rivals becoming friends, sending the message that just because you compete in your sport (in this case figure skating) you can still be friends after the competition is over. I would highly recommend this book to parents of girls 8 - 12 they are rich in text, bright illustrations, story, history, and they offer girls a chance to be detectives. This book has lost none of Geronimo&apos;s magic story telling magic. 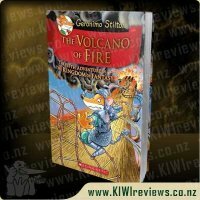 It is also a stand-alone story, you don&apos;t need to read the other books to contextualise the characters, they introduce themselves and you can jump into a great read. 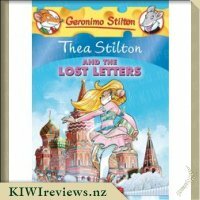 I guarantee that once your girl jumps into Thea Stilton and the lost letters, they will be hooked on the &apos;Stilton&apos; books. The books in these series are often revisited by their young fans, and I have already seen my girls read through this book twice! 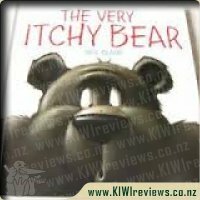 My Miss Eight and my Miss Seven love reading the Thea Stilton books so they were both very excited when I received this copy from Scholastic NZ via KIWIreviews. Miss Eight got to it first and really enjoyed it. She writes "THEA STILTON AND THE LOST LETTERS I think that Thea and the Lost Letters is a great book. My favourite part was when Nicky, Paulina, Violet, Colette and Pamela went to the Countess Irina� ™s house for the party. 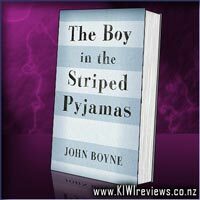 I like this book because it has mysteries in it and the Thea sisters solve the mystery. I read the book in 1 night. " 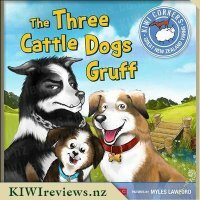 My Miss Eight reads these really quickly but really enjoys them and I often find her rereading books from this series. Miss Seven takes a lot longer to read but seems to enjoy them just as much. Both girls really enjoy all the beautiful colour illustrations and the information boxes but they also like to solve the mysteries as well. I like that these books do impart some true factual information but it is done in such a way that my girls really enjoy the learning. Because my Miss Seven can take awhile to read these they are a great series for me to read with her and I like that this is a series I enjoy reading so I don&apos;t mind curling up and reading a few chapters aloud to her. I hope that reading such books will inspire in my girls a thirst to find out more and to perhaps want to travel to some of the countries they read about. My Miss Eight and my Miss Seven have declared this their favourite book of the series so I think it is bound to be enjoyed by anyone who has enjoyed previous Thea Stilton adventures. 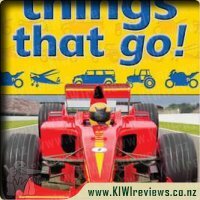 Great value for money as always and definitely recommended. (But Flea&apos;s a little small to see). but not because he&apos;s impolite. biting high and biting low.